WHAT'S NEW WITH THE CANINE VALLEY FEVER PROJECT? We are celebrating our ONE YEAR anniversary! Enjoy low-cost VF testing and use your own vet. LISTEN TO OUR INTERVIEW ON NPR! Valley Fever is an infection caused by the fungus Coccidioides spp. The scientific name for Valley Fever is coccidioidomycosis, and it’s also sometimes called “San Joaquin Valley fever” or “desert rheumatism.” The term “Valley Fever” usually refers to Coccidioides spp. infection in the lungs, but the infection can spread to other parts of the body in severe cases (﻿this is called “disseminated coccidioidomycosis﻿”). This fungus is soil-dwelling and has adapted to survive in desert climates. Coccidioides spp, also known as Cocci, is found in the lower Sonoran desert regions with climates, rainfall and temperatures that support its growth. It is prevalent in certain parts of Arizona, California, Nevada, New Mexico, Texas, Utah, northwestern Mexico and parts of Central and South America. ﻿﻿﻿﻿﻿Dogs comprise the majority﻿ ﻿﻿of Valley Fever cases in pets﻿,﻿ with Arizona dog owners spending an estimated $60 million annually on diagnosis and care. Infectious rates vary greatly with three counties in Arizona — Maricopa, Pima and Pinal — the current epicenter with more cases of Valley Fever than anywhere else in the world. The only study ever done on infection rates in two of these counties concluded it could be as high as 28%. Awareness of Valley Fever is low, especially outside southern Arizona. Lack of knowledge frequently results in misdiagnosis, and delayed or unnecessary antibacterial and drug treatments. Not only can this increase health care costs and stress, but it can lead to disseminated forms of Valley Fever. What is the Canine Valley Fever Project? The Canine Valley Fever Project (CVFP) ﻿is an observational study with multiple objectives. The purpose of the Study is to monitor the health of a large group of dogs living in what is known as an endemic area for the Coccidioides spp. organism. The Study will take place over a period of time and information will be gathered on the participants in order to determine a number of significant and correlating factors regarding disease manifestation. Those participating in the Study will receive subsidized pricing for the tests listed on this website. Our goal is to assist and encourage pet owners to participate in this Study. 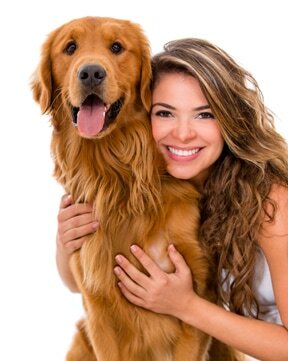 The dog's breed, nutrition, health, environment, symptoms and disease resistance will be evaluated within the Study. What are the most common symptoms of Valley Fever? One of the problems with early detection is that the Valley Fever mimics other more common illnesses thus making a proper diagnosis nearly impossible. View a full list of all known symptoms. We are looking for dog owners or those caring for rescued dogs, to join the study and help science learn more about this devastating disease. If you are a dog owner or veterinarian in either Maricopa, Pima or Pinal counties of Arizona, learn how you can become part of this groundbreaking study. If you are outside this area, you may be able to participate. Click VET below for more information. If you would like to support the Canine Valley Fever Project and the groundbreaking research, please help us by making a donation. We would like to provide financial aid for people that want to participate but have limited income. Thank you.